In these days of modern technology, we rarely, if ever, would dare to drink water directly from the tap or a pond as we are aware that it is unsafe due to the presence of disease causing bacteria, viruses and so on. In order to make water fit enough to drink, today we have UV filters and RO purifiers. In such a world, speaking of drinking water stored in copper vessel might sound anachronistic. Nevertheless, one quick look about the science behind storage of water in copper vessel and its benefits might be educative. Tarnishing in copper is due the chemical reaction between the molecules on the copper and the surrounding air. This chemical reaction changes the color of the copper. Since we are using copper vessel/jug to store the drinking water it is very essential to wash them every day. 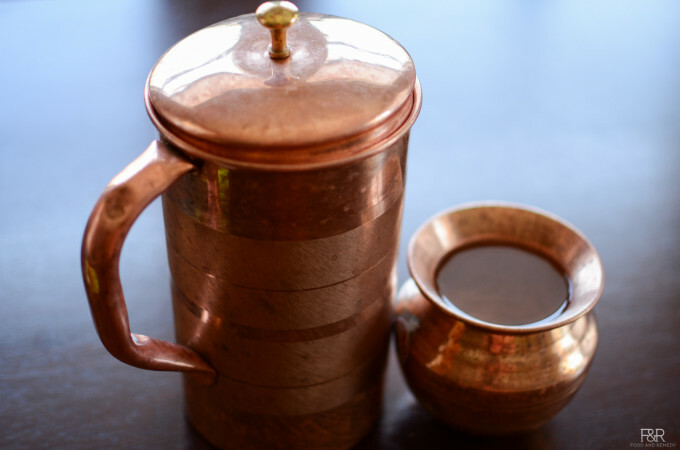 Personally, I think that lemon+salt or tamarind are the best copper cleaners – here’s how I clean my copper vessels. 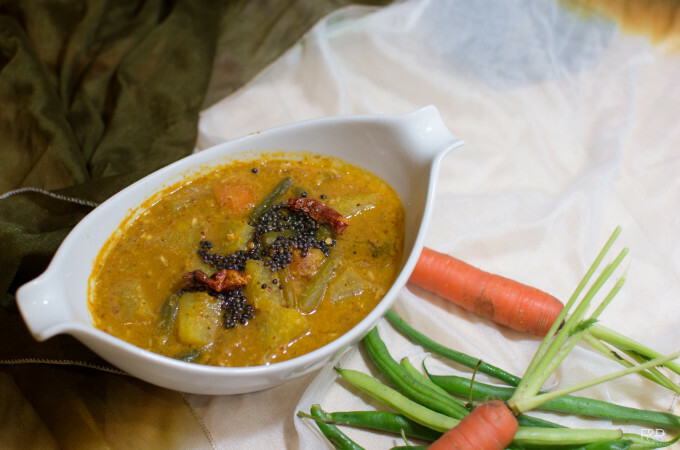 Sambar is one of our every side dishes for rice. We make variety sambar using different vegetables, and masalas. Each has unique taste and flavor. 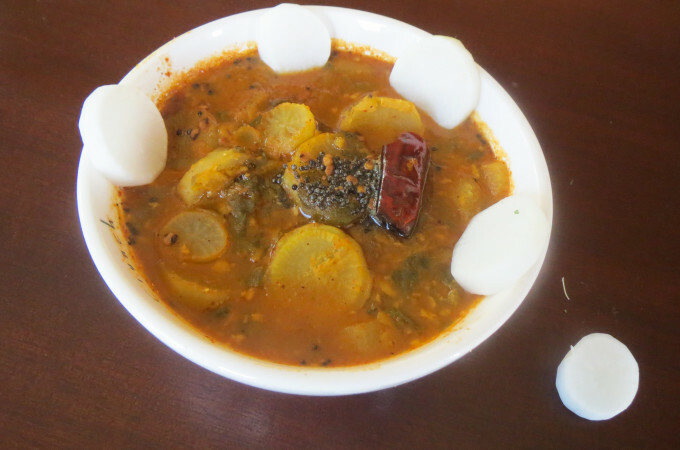 Radish/moolangi/mullangi sambar is one of the easiest and tastiest sambar to prepare. Broccoli, as we all know one of the healthiest vegetable loaded with Vitamin K, Vitamin C, high fiber and has cancer fighting properties. Also good for bone health. And alkalizes the body. There are many ways we can incorporate this nutritious vegetable in our diet, steam it and add it to any salads, stir fry it. Just blanch it and eat it. 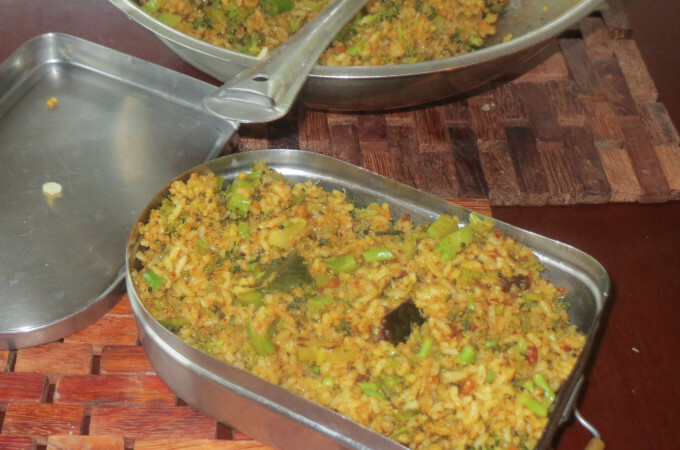 My recipe here is pure south Indian style Rice dish using Vangi bath Powder.